Financial planning starting to freak you out? Here’s what you really need to know about sending your kid to college. 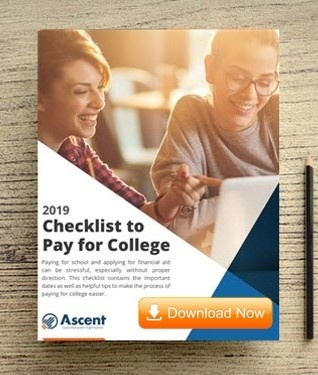 Nearly three-quarters of parents report their highest stressor as completing applications for admission and financial aid for college, with their biggest concern being the amount of student loans the family will need to borrow. So, before you get too stressed out, here are 4 ways to prepare for college. Getting into college isn’t just about good grades. What your student does outside of the classroom is also looked at and can be the spotlight factor for your student. Athletics, school clubs, after-school jobs, internships, and volunteering are all great college application builders. Paying for college can be boosted by these extracurricular activities as well. There are many scholarships out there that don’t focus on strictly on a student’s academics (though good grades never hurt!). How your student spends time outside of the classroom can contribute to the scholarship award process. Here are some extracurriculars examples that may help your student bolster his or her admission and scholarship applications. It’s easy for a high school student to walk onto a beautiful campus with ivy-covered buildings and instantly fall in love, but these same students need to understand before they ever visit a college campus that there’s more that goes into the college decision than just an emotional connection. Telling your student no to their future can be just as devastating to you. You need to talk to your student realistically about the cost of college, what their share of the college cost will have to be, and what student debt will look like for them. Setting expectations early and teaching them about the cost of college will better prepare them to make the right financial choice for college. By having this conversation early, you can save your student from a broken heart if his or her dream college isn’t a financially feasible option. Just like when you buy a car, you likely aren’t going to pay that sticker price for a college, so don’t judge colleges by those posted prices. There are many financial aid options out there from grants, scholarships, work study, and loans which may contribute to lowering the college bill to what we call the “net price.” The net price is what you will actually pay for college minus all of the aid received. Every school is required to have a net price calculator on their website to help you determine what you’ll actually be paying for an education there. Concentrating on the net price over the sticker price should hopefully help alleviate some of the stress parents experience throughout college planning process. Over two-thirds of graduates leave school with student loan debt. 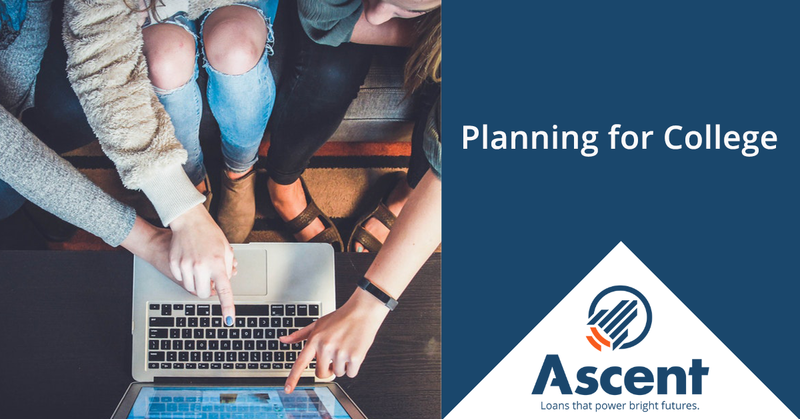 With flexible repayment, postponement, and forgiveness options, these student loans can be manageable as long as you and your student have followed these financial planning tips for college to ensure that they are borrowing a practical loan amount. Families can lower the college net price through scholarships and other forms of financial aid, but if a college is still too expensive, you and your student should discuss what other options he or she has. Going to a community college and transferring in a couple years could be a solution to attend the dream school or going to a completely different school altogether. No matter the situation, if you work together and keep your lines of communication open, you will be able to find the right fit for your son or daughter without stressing (too much).